All clients must agree to the points laid out below. SilverswordStudios.com will provide the initial draft concepts to the Client within the timeframe agreed upon in the initial consultation. Please note that if we are experiencing higher than usual demand, your design will be scheduled for the next available time slot and you will be notified at the earliest possible time. SilverswordStudios.com will post the initial designs in an email or to a web site for review by the Client. The Client will then be able to view his/her draft designs and also be able to provide feedback concerning the design. SilverswordStudios.com will analyze the Client’s feedback and revise the designs. The revised samples will be presented to the Client within the specified timeframe. Regular working days are Monday through Friday, 8.30am – 5pm. SilverswordStudios.com will continue the revision process as per the terms of the specific contract, until Client is 100% satisfied. Once the Client has approved the final design, the Client will complete any remaining payment owed, and SilverswordStudios.com will then proceed with the delivery phase. All requested formats of the approved logo are then emailed or posted to the client download area for the Clients use. Unless otherwise agreed upon beforehand, no work will commence until client has supplied sufficient content (logos, text, images, etc) as well as a detailed description of what is required for the job to be completed, and any likes or dislikes the client may have, and wish to see, or not see in the design provided by SilverswordStudios.com. Unless prior arrangement is made; between 85% and 90% of content is required before any design work can commence, and all additional content is supplied in a timely fashion, work will be suspended and invoiced appropriately, and work will re-commence once the remaining information is supplied by client. Client is required to provide feedback and any other material and or information in a timely fashion. Client has up to 30 days to provide feedback and additional information needed to complete any agreed upon work to prevent additional costs being incurred. The Client unconditionally guarantees that any element of text or graphics furnished to SilverswordStudios.com for inclusion in the design do not infringe on any copyright or trademarks that have been already established by another company or organization. The Client will hold harmless and protect SilverswordStudios.com from any claim or suit arising from the use of such as furnished by the client. SilverswordStudios.com makes every effort to produce original artwork. If, however, we create artwork for you which accidentally infringes on any existing trademarked artwork, SilverswordStudios.com’s liability is limited only to a refund of the paid amount. SilverswordStudios.com will do no research checking on the legal availability of the name we are creating designs for. It is the Client’s responsibility to ensure that the name of their product, company or service is not already in use, and it is the Client’s sole responsibility to secure a service mark or trademark to protect the rights to any name or image. SilverswordStudios.com and it’s employees will not be held responsible for any legal action that may result from improper due diligence on the availability of a company name or image. Ownership of the final artwork becomes the full property of the Client, having unlimited, indefinite and unrestricted use of the design upon payment of all fees. SilverswordStudios.com retains the right to display the artwork in their corporate portfolios and marketing materials. Unless otherwise arranged with your project manager, all stock photography is used under royalty-free licence of SilverswordStudios.com. As such, the Client has legal rights to use the protography only within the scope of the purchased design, and all original copyright is retained by the photographer or licencing agency. Exclusive, rights-managed photography is available, but will incur additional cost. All concepts furnished to the client are for client review and comment purposes only. Until all project invoices are paid in full by the Client, SilverswordStudios.com will retain exclusive copyright and ownership of all design and draft materials. Ownership of final designs are transferred to the client on payment of all fees, however unless otherwise arranged in writing, SilverswordStudios.com retains ownership of all draft materials not used in the final design. All draft concepts previewed by the client are for client review and comment purposes only. Until final design balance is received by SilverswordStudios.com, all logos, artwork, concepts and designs remain the copyright and exclusive property of SilverswordStudios.com. SilverswordStudios.com reserves the right to utilize and/or reproduce any image, logo or illustration created by SilverswordStudios.com in advertising, electronic or traditional reproduction, with the addition of any copyright and/or trademark notice that may be requested by the owner of the work. The client is granted unlimited royalty-free use of the image upon full payment of all fees. SilverswordStudios.com retains the rights to concepts, comprehensives and all artwork involved in the design process prior to the final artwork, and is granted the right to use these logos in promotional and advertising and marketing materials. Any and all revision requests or project additions/alterations MUST be furnished to the project manager in writing. Revisions may be discussed verbally, however no work will be done until the Client submits their revisions in writing, either by Email, Mailed Letter or Fax. The Client understands that revision work, along with requests for project additions or author alterations, will incur the same hourly billable as noted in the project quotation. Revision work is not done free of charge unless otherwise arranged, in writing. The quotation assumes a reasonable average number of revisions per design item, but on very rare occasion a project arises in which the Client requests an unusually large number of drafts or revisions. Any and all revisions will still incur the hourly rate as noted on the project quotation, and the Client confirms that any revisions or additions they request will incur this cost. Graphic design is a professional service, not a restockable product or commodity – customers are billed for the time and expertise of our graphic designers, art/creative directors and project managers. In accordance with industry standards, SilverswordStudios.com charges for design services by the hour (unless a flat fee has been negotiated in writing) and does NOT offer refunds under any circumstance (except in the case of copyright infringement as noted above). SilverswordStudios.com does NOT engage in speculative work and will not honour any requests for same (see www.no-spec.com for more information about spec work). 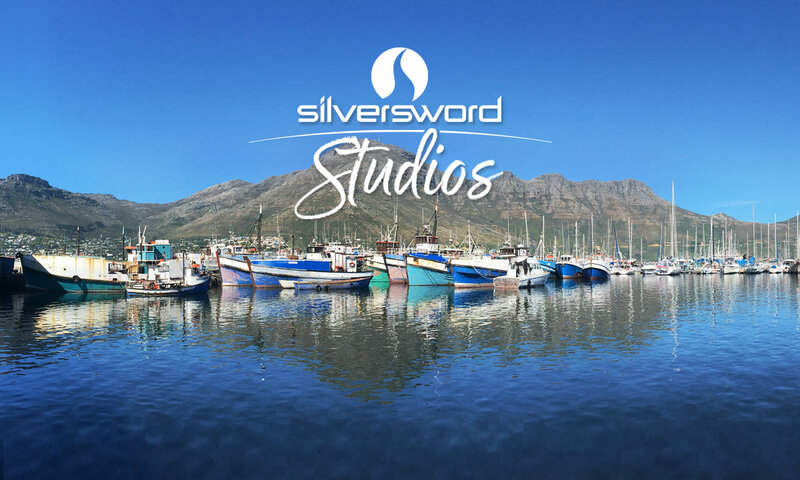 We have provided an extensive public portfolio, making it easy for potential clients to judge whether the style and quality of design offered by SilverswordStudios.com is a good fit for their organization. All quotations given are estimates only, unless otherwise negotiated and noted in writing on your quotation. Final invoices will reflect actual hours worked on your project which may or may not differ from your quotation. The final invoice amount will not exceed the quoted amount by a margin of over R500 without prior notification and written authorization by the client. An upfront deposit of 50% (based on the quotation amount) is required for all new projects. Preferred clients requiring long term and ongoing design work will be placed on a monthly billing cycle, which will allow said client to skip the quotation/deposit phase. Clients on monthly billing will be invoiced on or around the 22nd of each month. All invoices are payable on receipt, net 14 days. If the client is sending payment through the mail, we will accept a tracking number as notice of payment. If there has been no activity initiated by the client on a project in 30 days, but the client has been responsive to status requests by the project manager, said project will be classified as “inactive”. Inactive projects are invoiced periodically throughout the fiscal year, to ensure all parties are able to keep their records up-to-date. Please note that an inactive classification has no adverse effect on your account, provided all invoices are paid on time. If your project is incomplete and you have received an inactive project invoice, please rest assured that you are being invoiced only for work actually completed to date, and that you are welcome to re-open the project at any time. Upon payment of your invoice, you will have rights to request delivery of any design files (complete, or otherwise). After 30 days, a late payment charge of 2% per month (26.82% p/a) is applied to all delinquent accounts, without exception and retroactive to the date of invoice. If the account remains in default after 60 days, or if the customer’s payment is charged back to us by way of credit card fraud, cheque fraud or other crime, we will issue one final notice before turning the account over to a third-party collections agency. Late fees will continue to accrue on your account. Refusing to pay your bill is theft, and we take it very seriously. If collection efforts are unsuccessful, we will engage the client in litigation to collect the debt, and all copyright will revert to SilverswordStudios.com. In such a case, we will retain the right to repossess any and all materials created for the client. The client will have no rights to use the materials in any way, shape or form, and legal action will be taken to enforce this policy. If a client should abandon a project by way of negligence (e.g., cutting off contact, refusing to respond to emails or phone calls), an invoice shall be issued for the full quoted amount, regardless of project status on abandonment. Abandoned projects are also subject to an accellerated collections policy, and will be submitted to a third-party collections agency if not paid or addressed within 30 days. Unless otherwise specified and/or credited all images, artwork, text and graphics, of this site, are the copyright of SilverswordStudios.com. All rights reserved. All other images are the copyright and/or trademark of the respective owners. The information presented on the SilverswordStudios.com web site is copyrighted to SilverswordStudios.com Creative Design. This copyright does not supersede any copyrights that may exist in the logos, artwork and designs presented. These works are copyright and/or trademarked by the respective owners. Designs, original art and clip art presented by SilverswordStudios.com are for the use of the authorized client. All art, images, designs, and material are copyright of SilverswordStudios.com and may not be resold, added to clip art collections or any other unauthorized form of distribution or reproduction without the express written permission of SilverswordStudios.com and the images contained within. All material featured on sagemedia.ca are offered for individual or commercial information only and as such are offered on a ‘as is’ basis. Any other use of graphic material found on the sagemedia.ca site including mirroring or copying any part of the site is prohibited without the express written consent of SilverswordStudios.com or their authorized representatives. Visitors are permitted, and encouraged to link to this site. You are welcome to link to any page or section of the SilverswordStudios.com web site. Any form of reproduction, electronic or otherwise is strictly forbidden without prior written consent of SilverswordStudios.com or its agents. Every computer connected to the Internet is given a domain name and a set of numbers, that serve as that computer’s “Internet Protocol” IP address. When a visitor requests a page from within our site, our web servers automatically recognize that visitor’s domain name and IP address. The domain name and IP address reveal nothing personal about you other than the IP address from which you have accessed our site. We may use this information to examine our traffic in aggregate. Our web servers do not automatically record e-mail addresses or any personal information of the visitors. What information do you collect when I pay an invoice? We accept a number of different payment methods, including several offline options (credit card by telephone or fax, wire transfer, or cheque by mail). We also offer secure and convenient payment online. Your credit card information will be processed via secure, tested and trusted servers. Your information will not be shared or sold to third parties for any purpose. 3) Fulfill a user’s order or request. Please keep in mind that whenever you disclose personal information online through e-mail, forums, discussion lists, or unsecured pages, that information can be collected and used by others. In short, IF you post personal information online that is accessible to the public, you may receive unsolicited messages from other parties in return. Ultimately, you are solely responsible for maintaining the secrecy of your personal information. Please be careful and responsible whenever you’re online. If you have any questions about these terms, or would like information about licensing images and/or materials from SilverswordStudios.com please feel free to contact us.